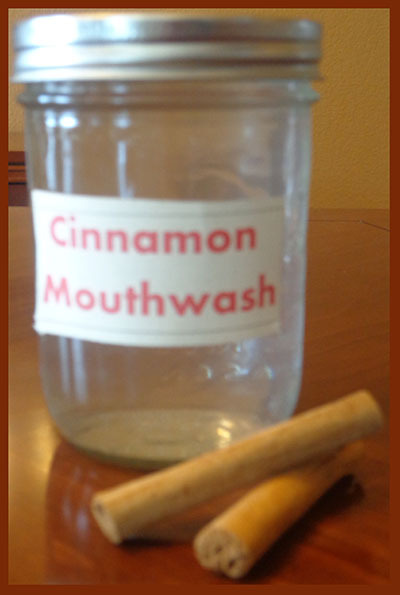 A while back I took the plunge into the world of homemade mouthwashes. I was searching for a way to go all natural, while still addressing my issues with my periodontal and autoimmune disease. I did quite a bit of research and came up with a combination of ingredients I thought might work for me. You can read about my history and how I chose the ingredients for a homemade mouthwash in my first article, Homemade Antiseptic Mouthwash. I am happy to announce my last dental cleaning was great. My dental hygienist told me the plaque and tartar buildup was the least amount she had seen in awhile. I told her I had been using the mouthwash. She said, “Well, whatever you are doing, just keep doing it.” Go me! I was so excited to be saving money and possibly even improving the health of my teeth and gums. This new cinnamon mouthwash has a very pleasant taste and should be just as effective as my previous peppermint mouthwash. I hope you will try it and enjoy it as much as I do. Remember, if you don’t like it, you can still go homemade by coming up with your own combination of ingredients. There are many recipes to be found on the Internet. Please share any recipes you like. Enjoy! Place all ingredients into a mason jar or other glass jar containing a lid. Shake before each use. Keep a small glass or other small container such a baby food jar near sink to pour mouth wash into for drinking. You don’t want your whole family drinking out of one jar. Otherwise, you can make mouthwash for each family member and choose a variety of flavors, so they can just take a swig straight from the jar. Swish mouth wash around in mouth for approximately 1 minute and spit out. DO NOT SWALLOW. Do not swallow or ingest this mouthwash. Keep in a safe place, away from small children. As stated earlier, consult with your doctor if you are pregnant. 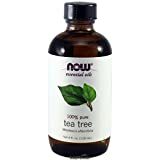 NOW Foods Tea Tree Oil 4 oz. 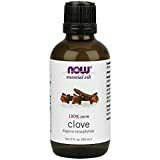 NOW Foods Clove Oil, 2 oz. 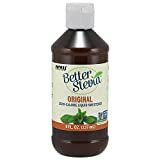 NOW Foods Better Stevia Original Liquid Extract, 8oz. Cinnamon! 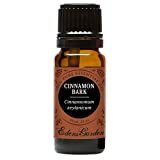 I love cinnamon but I had no idea that I can make with it a mouth freshener. Thanks a lot for sharing the idea! I spent so much money on mouthwash. This recipe will save me a lot of money and I won’t take any chemicals. Thank you for the useful article! I hope you like it. Just remember that if you don’t like the taste, you can try to adjust recipe and there are lots of other recipes out there. I am truly pleased with the results. Good luck! OMG! I can’t believe no one else has noticed the missing cinnamon. Thank you so much for letting me know. Now I have corrected it now.